What Makes Khadighar Farm So Unique? 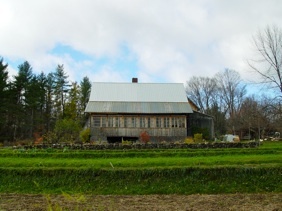 the Unique Maine Farms’ project, he graciously explained that he was a farm that focused on self-sufficiency and that he did not have a need to market the food that he was growing like many of the farmers involved in this project. 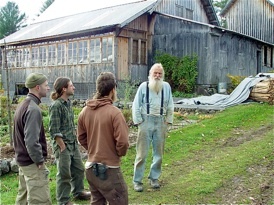 Fortunately, he agreed to share information about his work with the Scatterseed Project and welcomed Unique Maine Farms to Khadighar Farm on two occasions. The first visit took place in pouring rain, so capturing photos was quite difficult. The second visit occurred towards the end of October, so much of the gardens had gone by, but fortunately the visit occurred when the heirloom potatoes were being dug and saved by a group of very enthusiastic and hardworking volunteers. circles. He has one of the largest collections of Jerusalem artichokes that exist in the world. 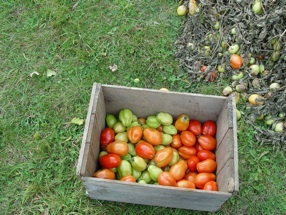 Bonsall in order to preserve the genetic diversity of crops. Many varieties that used to be grown over a long period of time have been lost due to changes that have taken place in agriculture. Because of a grave concern for the future of agriculture, Will Bonsall was determined to save seeds before they disappeared. His passion and efforts have translated into thousands of seeds being saved. 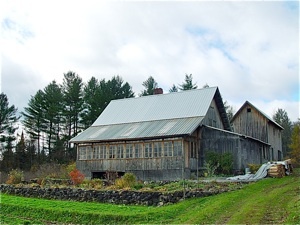 An abundance of the seedstock of vegetables, legumes, small grains, and tree fruits, which are able to grow in a cold Maine climate, are still able to be acquired because of Will. Will has formed an impressive group of supporters who have rallied behind him. 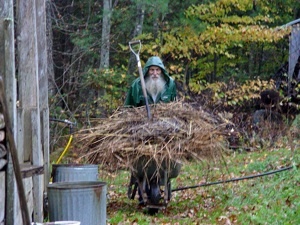 While he has visited several farms himself for sources of rare and endangered seeds, he also relies on the kindness of people through donations in the mail and from people who have learned about his work. He has received and distributed rare seeds in exchanges with plant breeders, other garden enthusiasts, tourists who travel to far-away places, and from people who are working in foreign countries in such fields as the Peace Corps or in mission work. 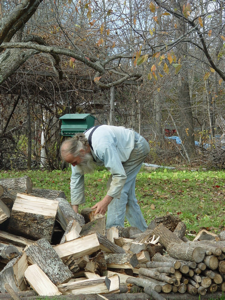 When Will gathers a sufficient amount of a particular seed, so that he has a small amount to spare, he shares them with interested farmers and gardeners. 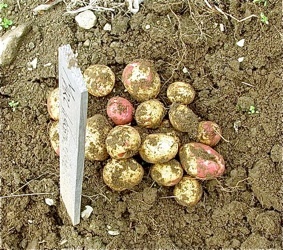 The Scatterseed Project works closely with the United States Plant Germplasm System. 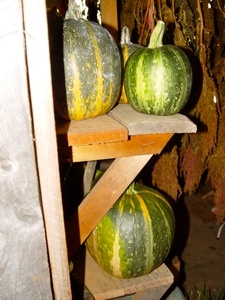 It obtains foreign varieties from them to distribute to others and also supplies them with seeds. Isolation methods are used to keep species pure which cross-pollinate. Clonal collections are watched for any signs of viral contamination. Although Scatterseed might appear to be a seed company, it actually is not. Will does not have an abundant supply of all the seeds that he preserves. While a seed company might be able to supply a large quantity, the availability of seeds through Scatterseed is limited, if it is even offered. Instead of selling seeds, Will attempts to keep seeds alive. This year Scatterseed is not offering seeds anywhere. Will used to be a curator of many types of seeds for the Seed Savers Exchange and serve on their Board. With the many changes that have transpired at the Seed Savers Exchange and the cutback in funding to seed preservationists, Will is no longer offering his seeds through Seed Savers Exchange. 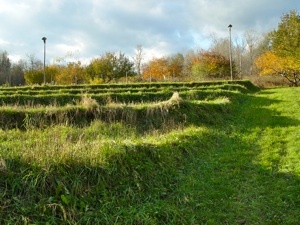 Will and several individuals are working to set up an alternative organization to Seed Savers’ Exchange which hopefully will be in place for the 2014 season. 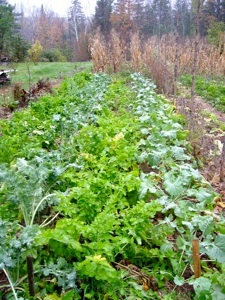 When the seed potatoes needed to be dug in late October this past year, several volunteers lent a hand. What a treat it was to see Will interact with the workers who stepped forward to help. He was more than willing to share all that he knows about different plants and vegan farming. He has a great sense of humor and a grasp on the scientific and historical backgrounds and culinary uses of just about every plant known to exist in mankind! 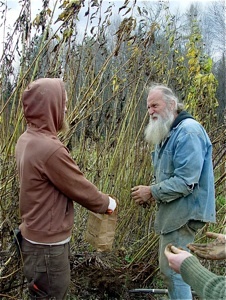 It’s no wonder that an assortment of individuals agree to help Will with his seed collections. 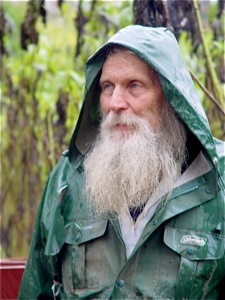 He is extremely knowledgeable about propagation, pollination, terrace gardening, composting, record-keeping, virus prevention, various eco-efficient farming methods, seed preservation, and cloning. He has a handle on so much in-depth information and really is quite skilled at making potato harvesting great fun! 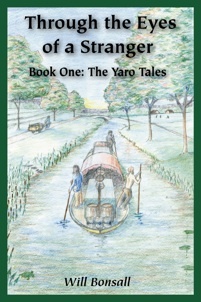 His knack of sharing interesting stories and his pleasure in singing while he is harvesting enables people to forget that they are working so hard. He even encourages the volunteers to participate in singing rounds with him while they are working! It’s quite fitting that Khadighar Farm is included in this project that highlights unique farms. No question about it, Will Bonsall is one unique farmer! His thirst for knowledge is immediately apparent. It came as no surprise to hear him explain his studies in college. As a freshman, he majored in forestry and wildlife. During his sophomore year, it was forestry and Russian. 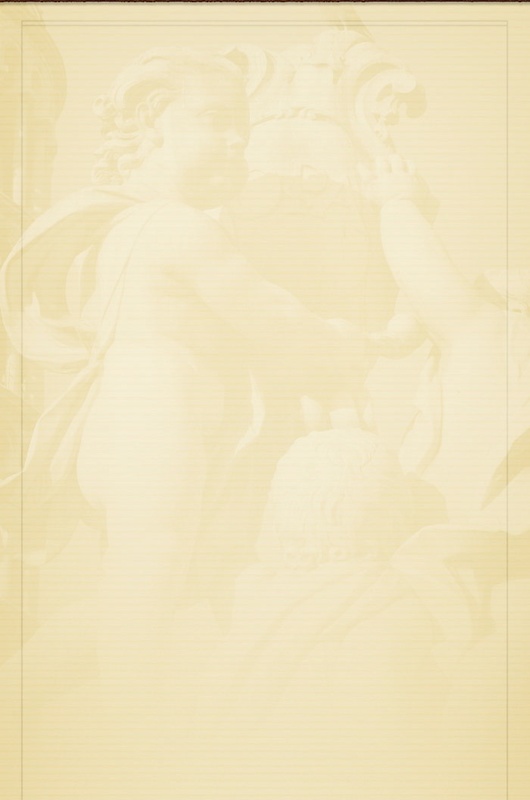 As a junior, his new focus was education. He graduated with a degree in anthropology. Will explained that the anthropology background actually has proven very useful in his career to understand different cultures. Writing is only one of Will’s talents. He appears to be a history buff and he has earned a reputation for his entertaining talks. 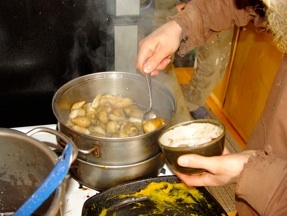 Will enjoys cooking and welcomed the volunteers who were harvesting the seed potatoes in October into his home to enjoy some of the homemade dishes that he made from the vegetables in his garden. 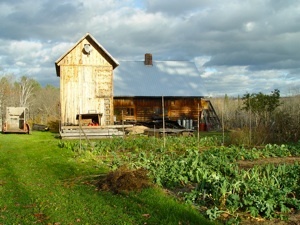 That Will and Molly have been able to operate a successful sustainable farm for over forty years is quite a feat. Will and Molly have obviously worked very hard in maintaining their unique lifestyle. If you decide that you might want to volunteer to help Will with some of the harvesting next season, be prepared to join in singing some rounds while you’re working. It’s great fun!